The wonderland called eCommerce. Today, some countries are busy doing most of their shopping online while others are starting to experiment with their online market. In either case eCommerce is here to stay. This article won’t shed any light on the future of eCommerce. No! Rather, I will be trying my best to collect in-depth data in order to help you understand how eCommerce has evolved. The journey has been more than just majestic. So what is the history of online shopping? You might also like to read about the history of Adobe Photoshop, Apple, Web Forms, Google Doodles, or Social Networking. EDI (Electronic Data Interchange) permits companies to carry out electronic transactions. Although the concept of eCommerce did not touch the daily Internet user till the era of 1990s yet some big players had started to use EDI as early as 1960. The railroad industry was among the first to understand the importance of EDI and start using the same. Other players in the transportation industry followed. There is always a hero. Someone who comes out of nowhere and does something unusual. eCommerce has its own hero. Michael Aldrich is the man. It was the year 1979 when Aldrich was on a stroll in a supermarket with his wife. Suddenly, he was hit by an idea which changed it all for eCommerce. Aldrich connected a domestic TV and a computer with telephone lines so as to start selling groceries online via this model. How they were able to tackle various situations is a different story altogether, but at the end of the day they did come up with a model that helped them launch the business of online shopping. Have a look at this rare PDF and then read along. It was the year 1981 when Thomson Holidays picked up 66 travel agents from around England and connected them in order to come up with what has been tagged as first B2B (Business to Business) online shopping. These agents were able to extract data online and understand what was available from the Thomson Brochure so as to serve customers instantly. This was the year for France to jot down her name in the history books. 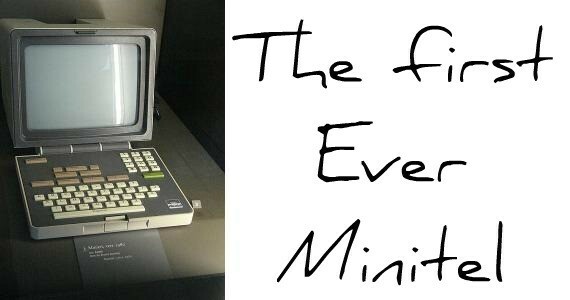 France based telecom company invented Minitel which has been considered as the most happening pre-WWW online service. Even during its infant years users had the privilege to make online purchases, check phone directories, chat with each other and various other basic searches just like it happens in today’s Internet. How would it sound if someone tagged you as the first ever home shopper on this planet. Well, Jane Snowball was tagged as the first ever home shopper when at the age of 72 she became Tesco’s customer. It was the year 1984 itself when the world’s first B2C (Business-to-Consumer) online shopping system was launched by Tesco. The online shopping system started the concept of Online Shopping Basket which was later renamed Online Shopping Trolley. Also, it was April 1984 when CompuServe announced Electronic Mall which was almost like the eCommerce of today. Next up was a Merchant Account launched in the year 1987 that helped software developers sell their software products online. SWREG was the name and it happens to be one of the oldest pieces of software that is still available. Here we go. The year which marked the launch of the first web browser. The name of the browser was WorldWideWeb which was later renamed to Nexus so as to avoid the obvious confusion. Nexus was also the editor for programmers who coded websites. During those days Nexus was supposed to be the only medium to access the Internet in graphical format. The amusing part is that the browser was launched for the public by using Internet newsgroups as the medium of communication. This will help you understand that the communication system (on the Internet) of those days wasn’t as big as it is nowadays. Back then NSFNET was the backbone of the Internet, but it wasn’t available for commercial use. It was the year 1991 when the NSF (National Science Foundation) cleared the way for the commercial use of NET. This was considered to be a major boost for the eCommerce industry and its future growth. Statistics state that the traffic on the backbone network of NSF jumped to over 1 trillion bytes per month in the year 1991 itself after it was opened for commercial use. By 1996 there were over 10 million hosts online and the Internet was now a global phenomenon. It was the year 1991 itself when University of Minnesota launched “gopher”, the first point-and-click based browser that could be used to navigate files on the Internet. At times this has been tagged as the birth of Internet. Gopher was originally designed to ease campus communication. “The first Internet application my mom can use.” ~ Mark MaCahil, Team Lead of the computer programming team which launched Gopher. A book called “Future Shop: How new technologies will change the way we shop and what we buy” was published in the year 1992. The book was considered revolutionary considering the fact that it talked about what will happen in the future of eCommerce and how the Internet will take shape. This could be tagged as the “Mother of all Years” for eCommerce as Netscape launched encryption certificate which became the trustworthy means of transmitting data over the Internet. Certificates gave the browsers a chance to trust a source before displaying its data and sharing personal information. Something that helped the end consumer shower more interest on the Internet and indirectly on eCommerce transactions. This wasn’t all. The year 1994 also marked the launch of Yahoo! though the domain was registered later in the year 1995. This truly gave the Internet and eCommerce a completely new direction. It was the year 1995 when NSF started charging a fee for registering domain names. I wish I was born before so that I could have registered some of the premium single word dot com domains in 1995! At that time the Internet had 12,000 domain names registered and the number jumped to over 2 Million in the next 3 years. One must understand that by now a lot of other services that would later rule the web had started to appear. Some of these were Amazon, AuctionWeb (which later became eBay) and Verisign etc. PayPal came into existence in the year 1998. The current PayPal system that we see is actually the merger of X.COM, a financial service company of the late 2000s, and Cofinity which happened to be a payment and cartographic company. It was the year 1998 only when Google entered the world of eCommerce and Yahoo! launched Yahoo! Stores online. As they say, what followed after Google is history. Be it the dot com bubble or the Web 2.0, the Internet has experienced exponential growth (with its own pitfalls) that has shaped the lives of many. As we know it, the Internet continues to grow with major and minor eCommerce companies launching their own set of stores. Today, we can literally buy anything via the Internet. That is the wonderland of eCommerce.